Hemopoietic stem cells (HSCs) are most commonly used as a therapy for blood disorders and leukemia, but are also used in regenerative medicine. As such, identifying HSCs and determining their functionality is an important part of ensuring their safety in humans. The derivation of the complete set of blood cell types occurs by the process of hematopoiesis. This term derived from two Greek words: haima (blood) and poiēsis (to produce something). The process begins at the level of the hematopoietic stem cells (HSCs) located in the bone marrow. There are two fundamental hallmarks of the hematopoietic system. The first is that blood has a high turnover, necessitating the production of blood cells in the order of billions per day. The second is that in the adult, all blood lineages are derived from stem cells residing in the bone marrow, which must respond rapidly to fluctuations in demand. How are hematopoietic stem cells identified? The approach to HSC identification is based on the extraction of ‘candidate’ populations from a sample of bone marrow, followed by an assay to determine their biological potential. Candidates are selected based on defined criteria, for example, the presence of characteristic markers on the cell surface or shape and structure (morphology). The population is further subdivided until a pure (homogenous) population subset is isolated. What are the different cell types found in the blood? Stem cells – characterized by their persistence in vivo (in the body) as long-term (LT-) cells persisting for > 6 months, of perpetual self-renewal, and short-term (ST-) cells, which persist only for weeks to months at a time. The latter are only able to sustain hematopoiesis for a limited time. Hematopoietic progenitor cells – characterized by a limited capacity for self-renewal (multipotency). These cells are committed to a differentiation pathway, and can give rise to a limited number of cell types. Mature cells – include the final fully differentiated cell types of the blood. LT-HSCs can self-renew and give rise to ST-HSCS, which are also multipotent, but demonstrate more limited self-renewal activity. ST-HSCs then give rise to multipotent progenitors (MPPs), which are difficult to distinguish from ST-HSCs. ST-HSCs give rise to the two lineage progenitors. The first are the common lymphoid progenitors (CLPs), which in turn give rise to T and B cells, as well as natural killer (NK) cells. The common myeloid progenitors (CMPs) is the second lineage progenitors that generate the fully differentiated myeloid cells. These include, amongst others, the red blood cells (erythrocytes), and cells of the immune system (i.e. the granulocytes, which include neutrophils, and monocytes). CMPs and CLPs are lineage-specific multipotent progenitors, and they are detected distinctly from one another. How are myeloid progenitor cells in a population detected in vitro? There are numerous in vitro (outside of the organism) methods that are used to characterize and count immature hematopoietic cells. The Colony-Forming Cell (CFC) Assay for myeloid progenitors is both a quantitative and qualitative assay. It is commonly employed due to its speed and reliability. The assay allows some functional analysis of the cells present. It tests the ability for the cells to form multiple types of lineages, which represents the capacity to differentiate and maintain the ability for self-renewal. The assay is performed in semi-solid media in the presence of cytokines, which are required for the proliferation and maturation of all blood cells. It is used to quantify progenitors through their ability to form colonies. From inspection of the colonies, the retrospective identification of biological potential: i.e., multipotent versus restricted potency (bipotent, or unipotent, differentiating into two or one cell type, respectively) progenitors of the myeloid lineage only. Colonies from a single cell are formed after 1-2 weeks in a culture containing growth factors, which are substances promoting the differentiation. The most immature cells are multipotent, and thus display the greatest differentiation potential. 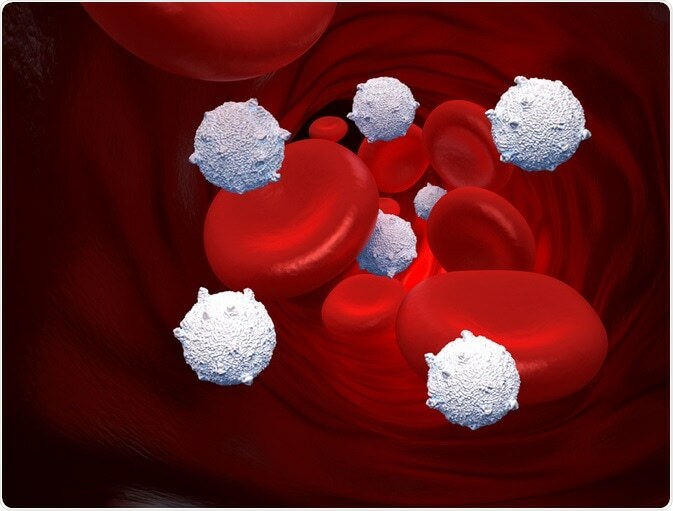 The CFC assay that detects the multipotent progenitors that may give rise to several cells of the hematopoietic system is called the CFU-GEMM (granulocytes, erythrocytes, macrophages, and megakaryocytes). The next most restricted progenitor type of the myeloid lineage are the bipotent progenitors of the myeloid cells. These cells are restricted to two lineage types detected by the CFU-granulocytes/macrophages (CFU-GM) assay. Finally, the CFU assays that detect the most mature, or unipotent progenitors, are the erythroid-restricted burst-forming units-erythroid (BFU-E), which detect the progenitor for erythroid cells, CFU--erythroid (CFU-E), megakaryocyte-restricted (CFU-MK), and granulocytes restricted (CFU-G). How are lymphoid progenitor cells in a population detected in vitro? The detection of lymphoid lineage multipotent progenitor cells is achieved by growing cells on ‘feeder cells’ that stimulate progenitor development, and exogenous cytokines that stimulate differentiation. Following culture on a feeder layer for 1-2 weeks, the resultant B- and T-cells can be verified via in vitro assays, in vivo transplant or by further expansion. Historically, spleen colony forming unit (CFU-S) assay was performed, and conducted to detect the presence of highly multipotent progenitors. These progenitors are multilineage, and are thus able to differentiate into cells of both the myeloid and lymphoid lineages. In the CFU-S assay, bone marrow is injected into an irradiated mouse (to remove its endogenous hematopoietic cells) and colonies seen in the spleen are counted at day 8 or 13 post injection. Not all primitive cells possess equal ability to repopulate the ablated hematopoietic cells. Some can repopulate the cells for a short period, whilst others can sustain repopulation throughout the organism’s lifetime. This variability is termed functional heterogeneity, and the repopulating cells are prefixed by their length of action: either short- or long-term. There are two types of in vitro assays for the detection of very primitive progenitor cells that overlap with stem and progenitor cells. These assays allow for the detection of primitive cells based on their ability to sustain the production of myeloid cells in the presence of a feeder layer of cells, to which they are adhered to. The LTC-IC assays is based on the ability of HSCs over at least a 5-week period to maintain progenitor cells with clonogenic potential. In this assay, test cells are applied to culture dishes prepared with an adherent, irradiated stromal layer of cells. The medium is left for 5 weeks. The presence of progenitors is determined by replacement of the medium every 1-2 weeks. After 5 weeks the cells are harvested and assayed using the various CFUs. The cells that form CFUs after 5 weeks represent the progeny of LTC-IC since CFUs present at the beginning would have undergone terminal differentiation by this time, and thus not be detectable. The CAFC assay is an alternative assay that detects the presence of HSCs in a visual manner, by the formation of cobblestone areas, which arise when the feeder layer has been repopulated. However, to truly validate that HSCs present in a population, an in vivo, long-term reconstitution assay must be performed. This reconstitutes all blood cell lineages when transplanted into a conditioned (irradiated) recipient. Long-term reconstitution is necessary to verify the presence of bona fide stem cells and multipotent progenitors. This is because donor hematopoietic progenitor cells and mature cells present in the initial cell sample may be detectable in recipients prior to 4 weeks post- transplant. These multipotent progenitors or short-term repopulating cells may produce transient (non-sustained) hematopoiesis for up to ~4 months post-transplant. The Competitive repopulating unit (CRU) assay is the gold standard long-term reconstitution assay. It is a quantitative limiting dilution assay based on the ability of HSCs to produce both myeloid and lymphoid progeny when transplanted into a conditioned recipient. In this assay, mice, which have been lethally irradiated, are injected with limiting doses of test cells, plus a defined number of ‘helper cells’. The helper cells function as a failsafe in the incidence that no long-term progenitors or HSCs are present in the test sample. As such, the assay offers an advantage of mice survival. However, the test population must be distinguished from that of the helper population. This is achieved by analyzing the cell surface markers of the cells obtained from the blood 16 weeks post injection. The SRC is an alternative version of the CRU assay and used for testing for human HSCs retrospectively. This assay is conceptually identical to the CRU, but involves the injection of human cells without their rejection. The mice must be immunocompromised for this to occur. They are called the severe combined immunodeficiency (SCID) mouse model. The human cells can be identified based on human-specific markers. 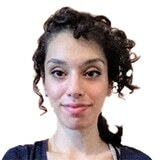 Hidaya is a science communications enthusiast who has recently graduated and is embarking on a career in the science and medical copywriting. She has a B.Sc. in Biochemistry from The University of Manchester. She is passionate about writing and is particularly interested in microbiology, immunology, and biochemistry.